Republican (Term Expires: 2020) serving Cumberland (part) and York (part) Counties. Mike is married to Fran, and they have two sons and two daughters, Shea, Brooke, Ty, and Chase. 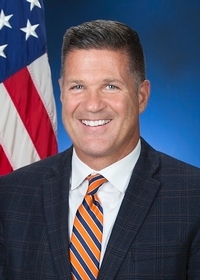 Mike graduated from Cedar Cliff High School in 1980 and earned a Bachelor of Science degree in Crime and Justice from Albright College in 1984.